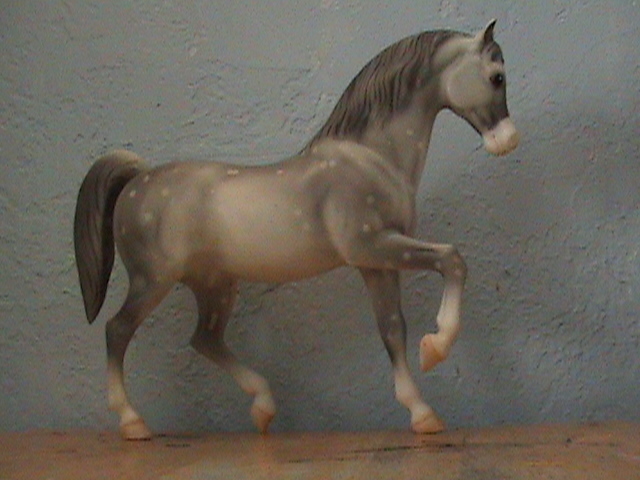 Other horses for sale or trade. These guys can also be customized! 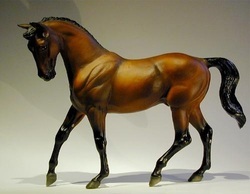 To see more pictures or want to know more about these horses please contact me! 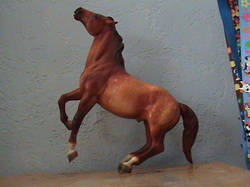 This guy is one of the horses that I will only sell/trade but not customize. I got him for $60 but he has some pin point rubs. The lowest I will go on him is probably $40 or $50. You can make an offer for a trade. This guy is body and will be willing to customize for you. He has small black marks and rubs everywhere. 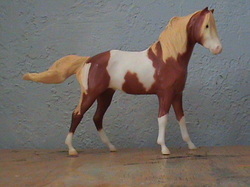 He was a limited addition in 1996 Jul-Dec. I would say about $15 to $20. If you want him customized he will be $10 plus the cost of prepping and priming. 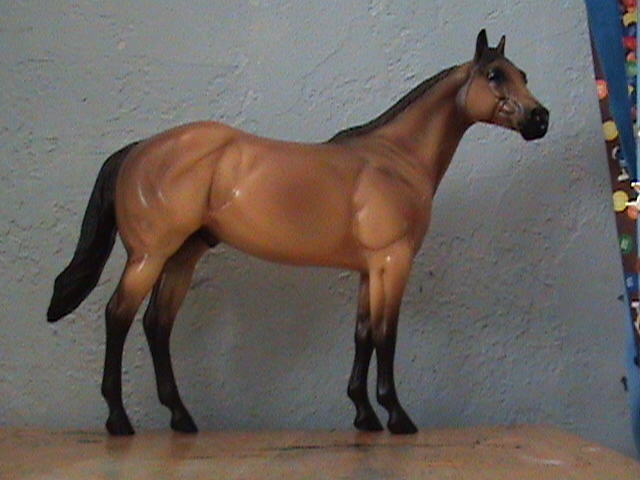 Here is another horse I will not be customizing. He is LSQ (no rubs and nothing is wrong with him). I would say around the $40 range. By the way, the reason I have to use a different picture is because the picture I took wont upload on here. Here is another horse I will not be customizing. This guy is limited to 1,000 pieces. He was one small black rub on his stifle. 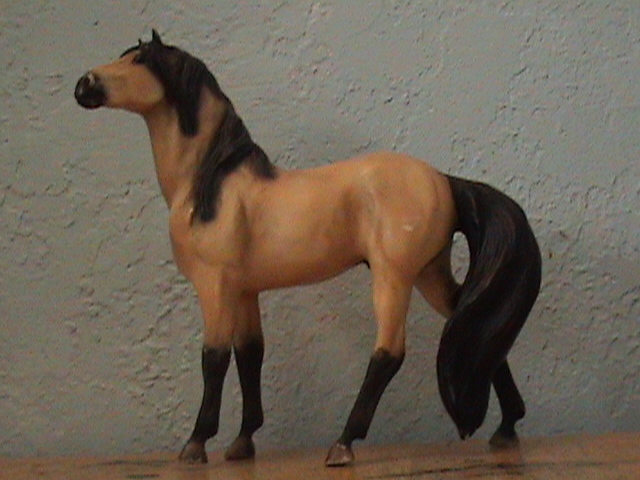 Also his hooves, muzzle, ears, and the tip of his tail are all shiny. Make an offer on him for price or trade. This is the classic sized spirit. He is a complete body with rubs everywhere. Im looking for about $5 to $10 with him. This is an etched Rain. She has quite a bit done on her so now all that is wrong with her is hoof rubs, ear rubs, and a tail rub. If you want me to I can customize her but she is more expensive since I already did customize her. I would say $10 to $15 with her.